Here’s the easiest recipe you’ll ever find for delicious Pressure Cooker butternut squash. Ready in 3 minutes, it’s the perfect healthy side dish! Butternut squash is one of my favorite fall vegetables, although now it’s pretty easy to find all year round. It can be difficult and time-consuming to peel and chop (not to mention dangerous), so my favorite option is to buy it already peeled and chopped in a two-pound container. 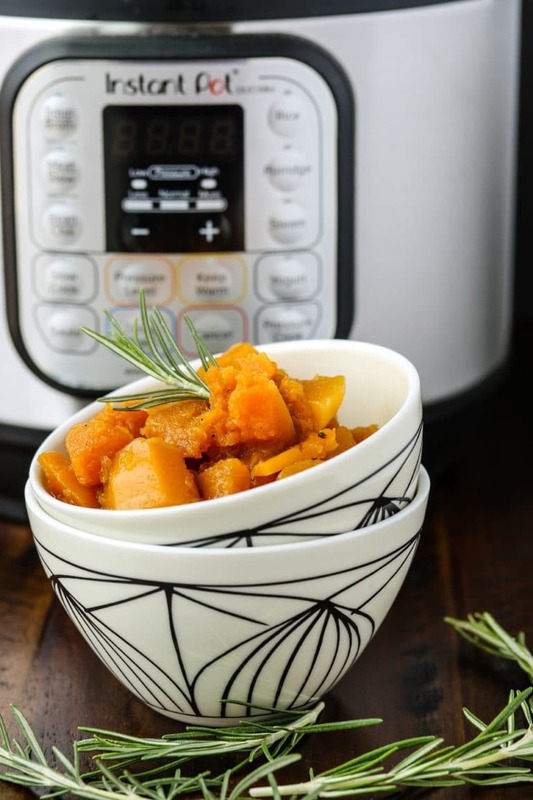 To make this easy pressure cooker butternut squash recipe, I simply poured the contents into my 6-quart Instant Pot and added one cup of water. Using broth is also an option for extra flavor. Three minutes later on high pressure with the quick-pressure release…ta-da! It smelled amazing and just like fall! I served it alongside my leftovers from last night. I think some onion added to the squash would have been really good so I’m going to try that next time. 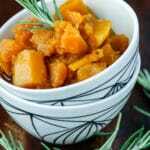 Combine squash, liquid, and herbs in the pot of a 6-quart pressure cooker and stir to combine. Could I achieve the same result by steaming the squash on the stove top? Of course, but it takes a lot longer than three minutes, that’s for sure. I also love roasting squash, but that takes so long. 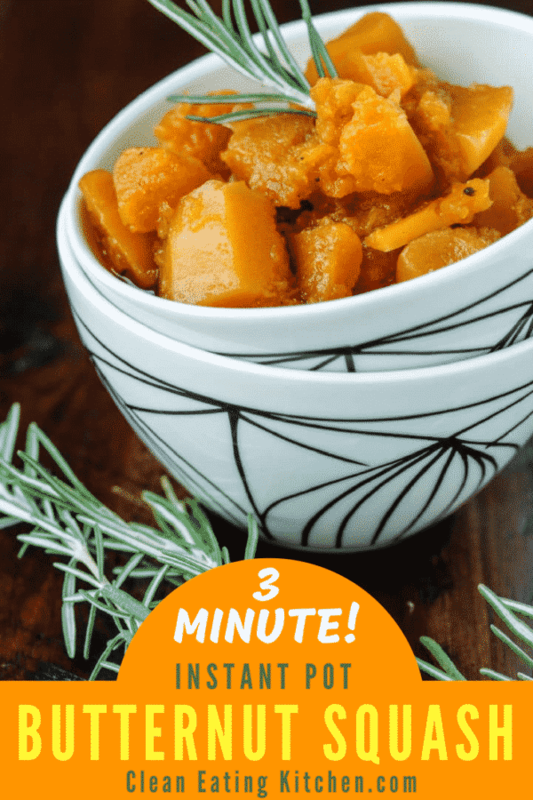 See the how-to video at the end of this post for how I made this easy Instant Pot Pressure Cooker Butternut Squash recipe! I’d love to know what your experiences are with pressure cooking. I also love the slow-cooker, but you have to run it for so long and make sure to plan ahead. The pressure cooker is ideal if you’ve just gotten home and need something fast. I don’t like dried oregano or the spices you mentioned. Can I leave them out? Yes, absolutely! Feel free to adjust the spices to your liking. Can I use the natural release for this recipe? Yes, but the squash will be softer and not as firm. Can I cook a whole butternut squash in the pressure cooker? Yes, but that’s another recipe. This one uses pre-cut, peeled butternut squash cubes. Are the instructions the same for other brands of pressure cookers? Yes, but I made this in the Instant Pot 6-quart pressure cooker. 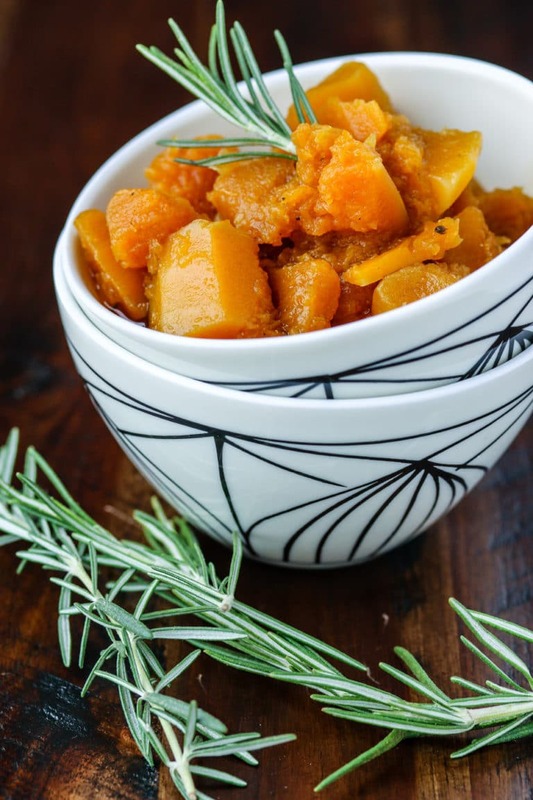 If you like this Instant Pot Butternut Squash, you might like these other healthy Instant Pot recipes! You can also download my free Instant Pot Holiday e-book. All I ask is that you join my free newsletter list. Subscribe now; unsubscribe anytime. The free e-book is my gift to you! Join my weekly newsletter list! 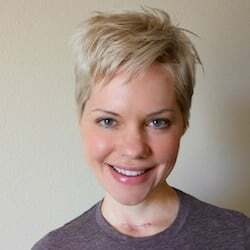 I’ll e-mail you once a week with a summary and links to new articles, plus insider info and bonuses available only to subscribers. 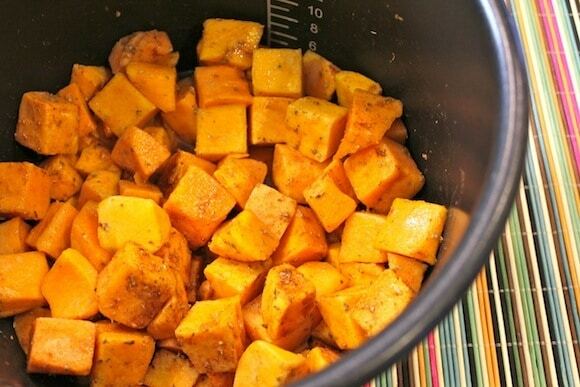 Pin this 3-Minute Pressure Cooker Butternut Squash recipe to save it for later! I preferred the older pressure cookers because they kept the liquid and the food separated with the raised metal strainer plate in the bottom of the pot. The new ones don’t seem to come with this feature. I’ve since gotten a silicone steamer to put in the bottom of my pressure cooker to make it work the way I’m used to. Steamed not soupy. Butternut is everyone’s default squash these days, but it’s one of the more watery squashes when cooked up. You could press it lightly in a strainer after cooking (add any liquid that comes off to a tub in the fridge for stock.) Cheers. Hi! I made this last night for dinner. Unfortunately, it did not meet my needs. I really didn’t like the taste and it came out very dark from the spices. I tossed the leftovers which is something I rarely do. I guess I just prefer the plain steamed squash better. I just made it and i’m pretty unhappy to 🙁 The garlic ruined it! You can’t beat three minutes to cook! I mean it takes longer than that to peel, and slice it up. What a great side dish. I love butter squash so much! I am eating buttersquash soup every evening these days! so good! this sounds nice too! Your recipe is obviously amazing, but I want to thank you for your thoughts about the pressure cooker. I am a vegetarian and think it would be fun to try a new way of cooking veggies like this. Oh yeah, I am in love with my PC! I have a recipe for mashed sweet potatoes you might like. I have a 10-quart and a 6-quart pressure cooker and I use them both! Yes, Tara. I hate cutting the whole squash, I’m always afraid I’m going to chop off a finger. So, I always buy butternut squash pre-chopped. I have heard of putting whole squashes in the crockpot or PC, but I think you need to make sure you poke a ton of holes in it so it doesn’t explode. I love the speed of this recipe. Butternut squash is not the most fun thing to cook. I would love to try this recipe. I really enjoy butternut squash. Only 3 minutes?! Can’t believe it! I love quick and delicious dishes! Butternut Squash was never apart of my plate but I see more and more dishes being made with it, so I have to try it. 3 Minutes? You’ve definitely got my attention – this sounds like such a great recipe. I have never cooked butternut squash before. I also don’t have an instant pot, so I’d have to figure out a different way, but this looks good! I have excitedly read all of your advice on recipe or cooking steps until I realise a pressure cooker is currently not available :)))) Btw, I don’t really like squash, so I wonder if this recipe could apply to other vegetables as well. Thanks much for the info. I love my Instant Pot, so I’m always on the lookout for more easy recipes to make. This one is a keeper! I love butternut squash but sometimes don’t think about it because it does take quite a nit to cook. I even have 3 minutes so this recipe is great! Yes! I recently started to cook squash in a pressure cooker and it is brilliant! It cooks so fast. I just love it! This recipe looks absolutely delicious! My grandmother used to cook meals in her pressure cooker on the stove all the time! We love acorn squash and butternut squash. A little butter and brown sugar or pure maple syrup is all you need. I’m sure garlic powder and chili powder are interesting flavors to butternut squash. One of my fav recipes! When it comes to dinner on a weeknight having a fast easy dish sounds good to me! Thanks for sharing! 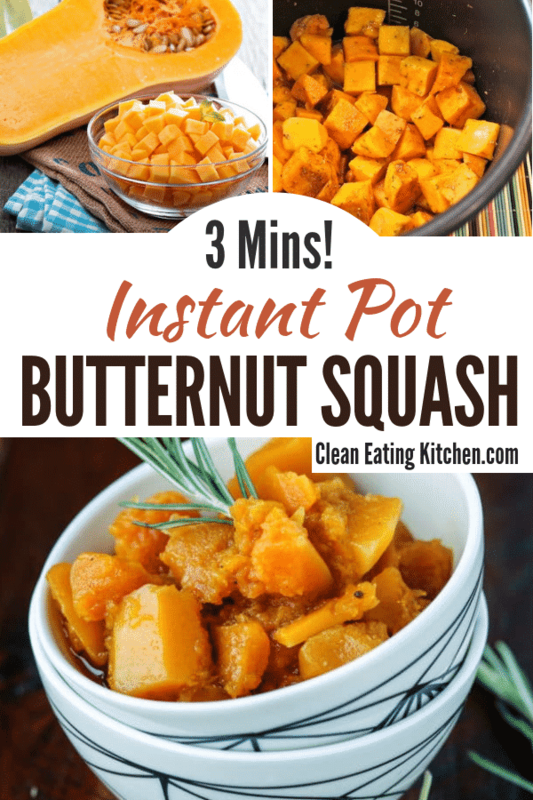 just 3 minutes..im SOLD on this recipe because butternut squash is something i make very regularly. I love how quick this is! Great for a last minute side dish for sure! I love butternut squash and I loooooooove the idea of it taking less time to get it on the table! So simple and so very tasty, I love cooking pumpkin in my Instant Pot. Butternut squash is a staple ingredient in my home. It’s great that Costco has the pre-cut, even though I mostly buy it whole. The IP is a staple too…perfect for cooking squash! mmm this recipe looks very tasty! This is an ideal idea for a side dish. I definitely want to try this! Thank you for sharing this great recipe! I love butternut squash, but it always seems to take so long to make! Definitely trying this with my Instant Pot so I can get my favorite vegetable back into my meal prep on a more regular basis! I haven’t joined the Instant Pot revolution, but I do have a regular pressure cooker. I’m going to have to give this simple recipe a try! 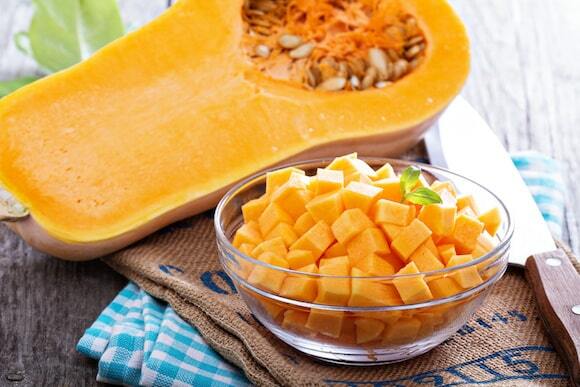 Butternut squash makes such a great side dish! I love that you can make this in 3 minutes in an Instant Pot! Recipe sounds amazing! And the flavors too. You can’t beat that 3 minutes. It’s amazing to know you can cook in 3 minutes. Wouldn’t that be a great side on your dinner plate! I can’t believe this only takes about 7-8 minutes to make! I haven’t jumped on the pressure cooker bandwagon yet, but it would be worth it to have delicious butternut squash in such a short amount of time. Looks delicious! Oh, I love butternut squash! We have some starting to sprout in the garden, I can’t wait until they grow and we can try this out!! I don’t have one of these new pressure cookers. Your recipe looks delicious and I can still make it with some simple modifications. Instant Pot is a big help. You can cook in just 3 minutes with this delicious Butternut Aquash.